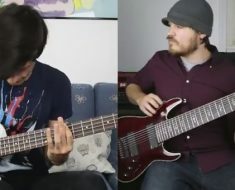 Rob Scallon asked himself just that after shooting a video for his banjo cover of Gojira’s “The Heaviest Matter in the Universe,” which he released last week, featuring Leo Moracchioli (Frog Leap Studios) on vocals. 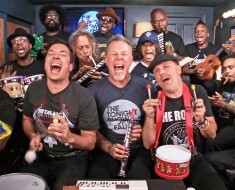 Moracchioli, the banjo and the metric f#ckton of straw hats return this week to give Metallica’s “Fight Fire with Fire” the same treatment, and it’s just as fun! Have You Met Steve Yet?